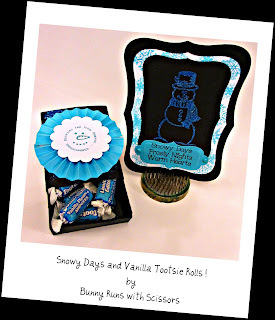 Bunny Runs with Scissors: Snowy Days and Vanilla Tootsie Rolls! 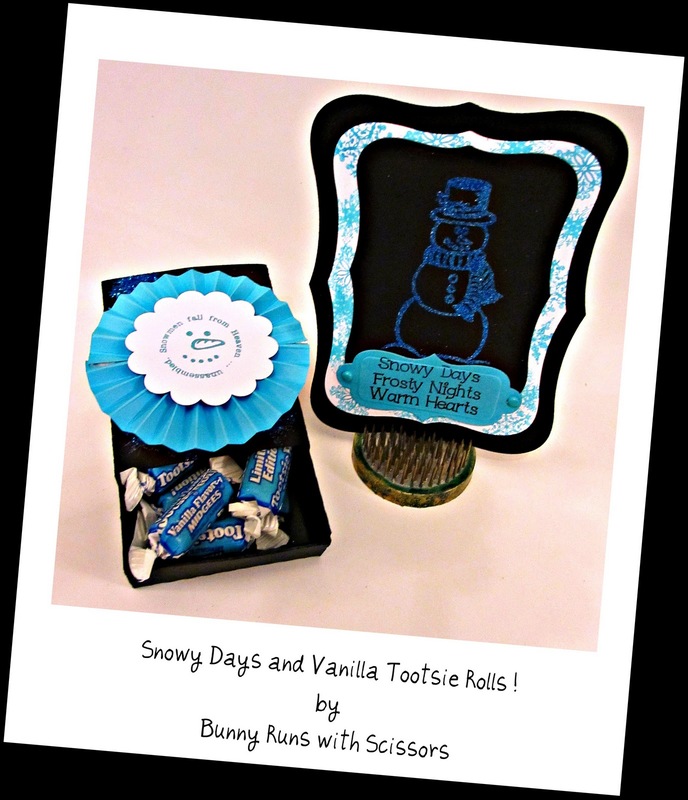 Snowy Days and Vanilla Tootsie Rolls! For this week we are doing a card and a treat bag/box. So I decided to get into my svg stash and see just what I had! This box comes from SVG Cuts Crisp Days of Fall found HERE. It is a darling matchbox and so easy to make. 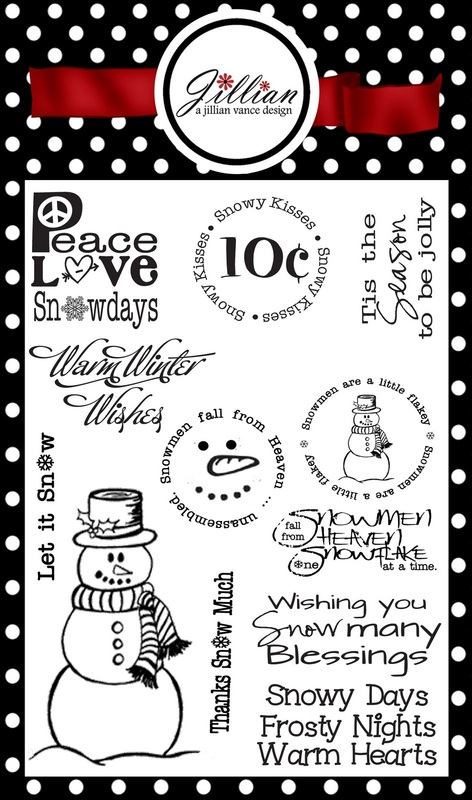 I then made a rosette and used the scalloped circle for the Snowman Sentiment which was stamped in Aquamarine Archival Ink. 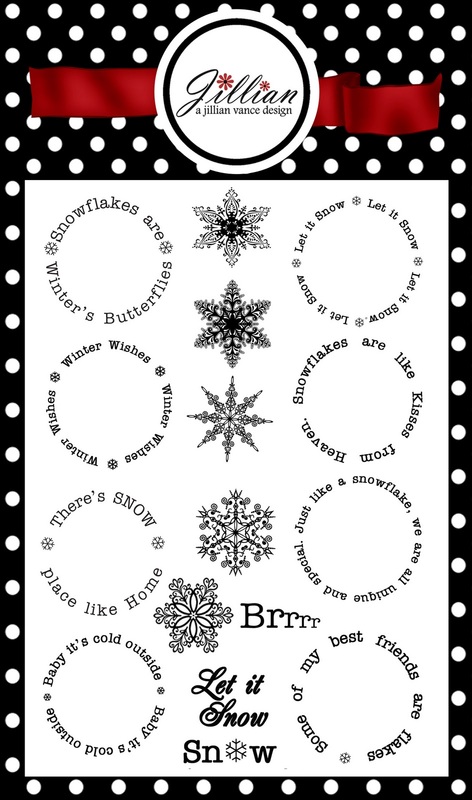 I stamped snowflakes in embossing ink and stamped the top of the box but you can't see them for the rosette ~ Oh well! For my card I used my favorite Labels 8 Spellbinders die and some black and white card stock. 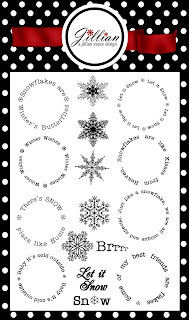 I used Snowflake Circles Stamp set found here and just stamped the snowflakes with Aquamarine Archival Ink to make a background stamped image. 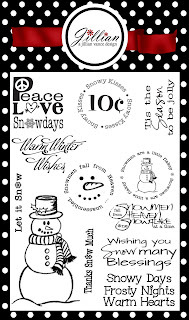 Then used embossing ink and Recollections Teal glitter embossing powder to make "Frosty" blingy! 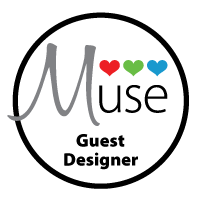 For the sentiment it was stamped in Black Archival Ink on a Grommet Tag diecut by Spellbinders. Then I found the perfect colored brads to match!